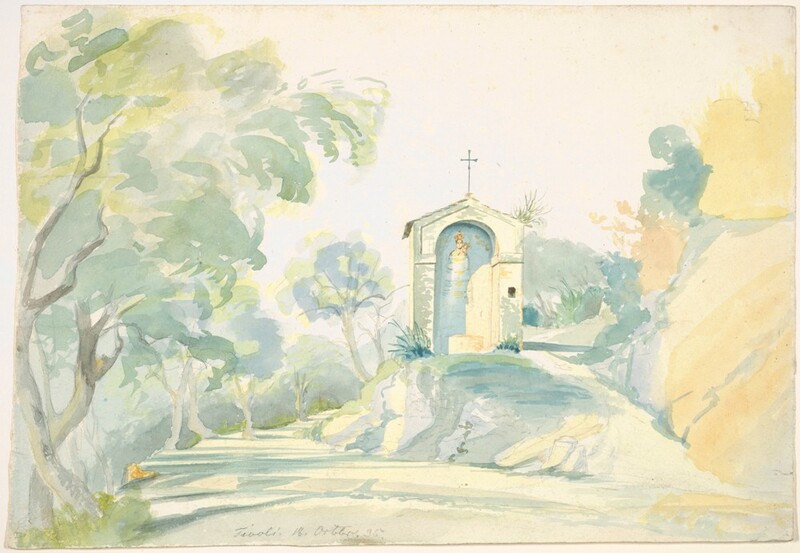 “A Roadside Chapel near Tivoli” (1835) by August Georg Friedrich Lucas (German, 1803-1863). Watercolor over graphite. Image courtesy of The Elisha Whittelsey Collection, The Elisha Whittelsey Fund, 2012. The Metropolitan Museum of Art. rest. The living part of me believes the earth is a chapel. Parker Tettleton is the author of OURS MINE YOURS (Pitymilk Press 2014), GREENS (Thunderclap Press 2012), & SAME OPPOSITE (Thunderclap Press 2010). More information can be found here.